Dyer Island received its name not from some Khoisan hunter-gatherer, but from an African-American, Mr. Samson Gabriel Dyer. He was born in Newport, USA on 9th September, 1773. He later moved to Nantucket where he worked on a whale boat as a harpooner. He left during 1806 on board the “President” bound for Cape Town. The company Cloete, Reitz and Anderson immediately employed him as a harpooner for the whaling business in False Bay. They later sent him to an un-named island to cull seals and prepare the skins for the company. Apparently he also collected guano and sold it to farmers in the Overberg area, to be used as fertilizer. He was an excellent worker. In his application for British citizenship 6 years later, he mentioned to Sir John Craddock that he is a permanent employee, employed to cull seals on an unknown island, culling and preparing skins of about 24,000 seals over a period of 4 seasons. After 6 years of island life he married Margaretha Engel in 1813. Apparently she came from Elim and was 18 years younger than Samson. They had 4 children born from this marriage, 2 boys and 2 girls. Samson Dyer was very successful on Dyer Island. According to old journals he was a very rich man in the Overberg and very well respected in all the communities. He probably was being paid commission by the company he worked for. Johnstone Jardine, a librarian, interviewed Dyer during 1824. He wrote that - Samson Dyer is a most extraordinary man of uncommon industry, honesty and sobriety. He was the first to adventure onto the island at great risk and ever since the islands bore his name. The island was occupied by various individuals and companies in the 1830’s to exploit seals skins and oil, penguin eggs and guano. Dyer owned a number of farms – Platterug and Goedvertrouw where he kept sheep. He also owned plots in Hawston and part owned the farm, Zandfontein. He was baptized in Caledon at the age of 70 years old. When and where he died is not known. During the 1980’s a broken plaque was found under guano on Dyer Island, with the following description: “This Island was found in 1806 by Samson Dyer”. Dyer Island, today 200 years later, is well known world wide for its Great White Shark cage diving and vast marine wildlife. This is by far the biggest and well-known tourism industry in this area. Dyer Island is the larger of 2 islands about 8 km offshore of Kleinbaai. A relatively small island of 20 hectares, is 1 km long and on average 200 metres wide, of a very flat landscape profile, the highest point being only 5 to 7 metres above sea level, with grassy inter-spaces and rocky outcrops and is the easternmost of a chain of seabird islands off the Western Cape. 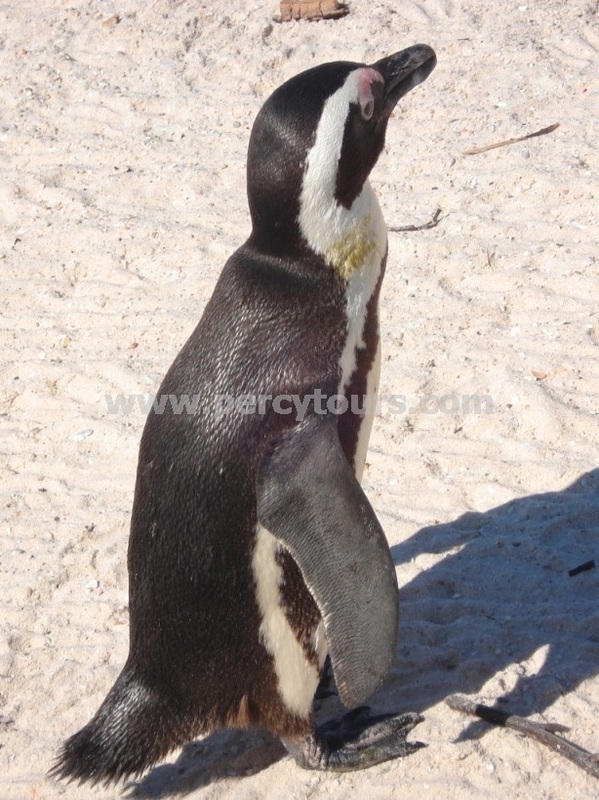 It is an important breeding area for a wide variety of seabirds, including African Penguins and cormorants. Geyser Rock is a smaller island of 3 hectares, no more than a narrow ridge of rock with no vegetation at all, 5 metres high and 300 metres long, a slash of rock caught between the sea and sky. It is separated from Dyer Island by a narrow channel, 5 metres deep and 100 metres wide. 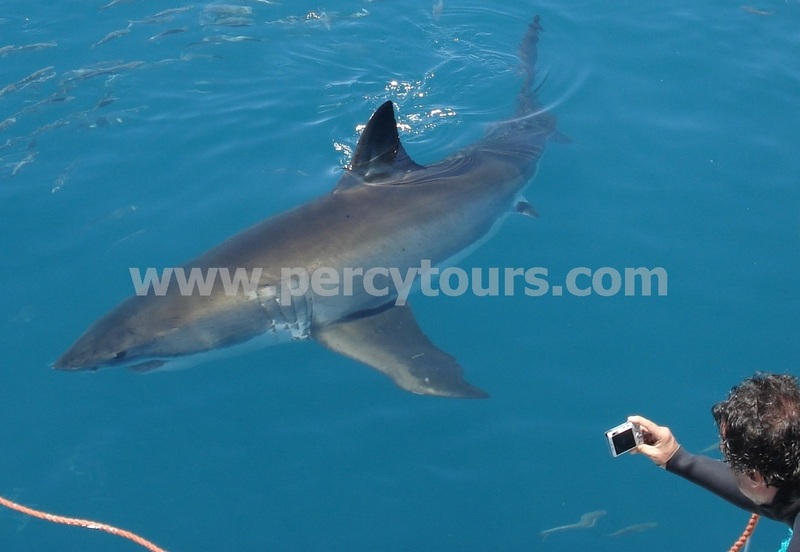 This shallow channel is known locally as “Shark Alley” or “McDonalds drive-thru” for sharks, as it is home to the densest population of Great White Sharks in the world. Geyser Rock supports one of the largest Cape Fur Seal colonies in the Western Cape, an estimated 60,000 seals being based here. Both Dyer Island and Geyser Rock are nature reserves belonging to Cape Nature, with no public visitor access allowed. 2 research scientists stay on the island on a 3 month rotational basis. All 4 Cormorant species - Whitebreasted, Cape, Bank & Crowned Cormorants, Kelp Gulls and Hartlaub’s Gull, Swift Terns. Huge roosts of Terns, mainly the migratory Common and Sandwich Terns occur in summer. Antarctic Terns which breed on sub Antarctic islands, roost here in winter. African Black Oystercatchers breed along the shoreline. Kittlitz’s and White Fronted Plovers breed in the open areas in the interior of the island. A large troopship, the HMS Birkenhead, with about 638 men, women and children on board, was sailing off the coast on a clear night on 26th February 1852, carrying reinforcements for the troops engaged in the Boer War. Off Danger Point, Gansbaai, the vessel suddenly struck a sunken rock with such force that within 20 minutes she had sunk. It is generally thought that the survivors comprised of 113 Army personnel (all ranks), 6 Royal Marines, 54 seamen (all ranks), 7 women and 13 children but these numbers cannot be substantiated as official books were lost with the ship. Due to a lack of available life boats, all the women and children were saved first and is the wreck that originally coined the saying “Woman & Children First”. The vast majority of soldiers remained on deck, in rank, saluting and all perished. It was due to this gallantry that the HMS Birkenhead secured her place in history. In fact, that phrase lent itself to be the title of a poem by Rudyard Kipling: “To stand and be still, to the Birkenhead Drill, is a damn tough bullet to chew”, based on the soldiers saluting whilst drowning with the boat. Legend has it that she was carrying about 3 tons of gold, as part of a military pay pocket. A salvage group called Depth Recovery Unit, led by Dr Allan Kayle salvaged a few hundred gold coins in the mid and late 1980s but the whereabouts of the mother-load still remains a mystery and there are a number of very interesting stories and local myths about what happened to this gold. In the memory of this famous boat HMS Birkenhead, a brewery called Birkenhead Estate was established in 1998. With its many developments, the vision was to make this the first Beer, Wine & Water producing estate in the Southern Hemisphere. Nestled at the foot of the Kleinrivier mountains near Stanford, the surrounding scenery is enough to take your breath away. Fine food, water and beer are made to serve to perfection. 6 beers are available for tasting including - Black Snake, Honey Blonde, Old English Bitter, Premium Lager, Lite Lager and Red Reloaded Lager. The water that is being produced is called Crystal Fynbos Natural Mineral Water. 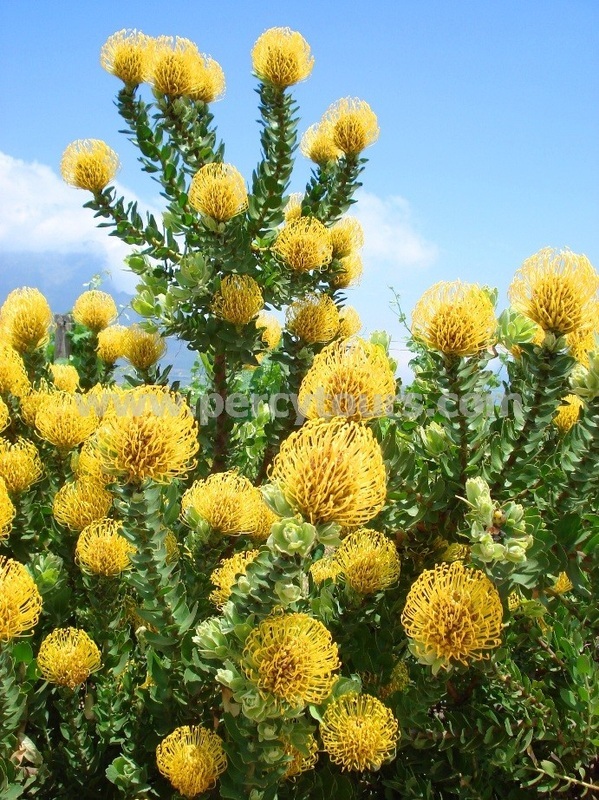 Crystal Fynbos is from one of the purest sources of natural spring water in the world. It is bottled at source from the Stanford eye aquifer, in the Overberg, the fynbos capital of the world. All these properties are carried through into the new flavoured sparkling waters, Litchi, Strawberry, Tangerine, Apple, Peach & Apricot, Blackcurrant, Lemon & Lime, as well as Rose and African Aloe. The Elderflower is thought to produce the most deliciously refreshing soft drink ever. In the not too distant future Birkenhead Estate will be equipping their cellar to produce some truly memorable wines, which then will be added to their lists of exotic tastings together with beer and mineral water. The Birkenhead Estate has a very exquisite setting, perfect for weddings, conferences, or any large group gatherings. Big screen TVs are in the pub, available for entertainment during any sporting matches. An amphitheatre for music and theatre performances, as well as braai facilities in the gardens of the Brewery overlook the stunning views of the Kleinriviersberg mountains.